Rob Carpenter will participate in marathon race on Kiawah Island in South Carolina on Dec. 8 as a fundraiser to benefit the Area Agency on Aging 3 and the a pair of Celina-based non-profit agencies. Carpenter is seeking corporate and individual sponsors in the multi-county area. 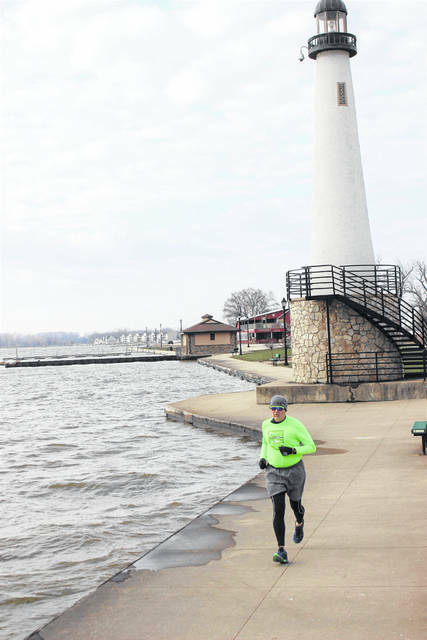 LIMA – Energized by God and propelled by a surgically-enhanced knee, Rod Carpenter of Celina is back doing what he loves: running in marathons. But what really drives the 64-year-old Carpenter these days is the desire to help others less fortunate. In that vein, Carpenter will participate Dec. 8 in marathon on Kiawah Island in South Carolina. Whether he finishes first or last in unimportant; his real goal is raising money for a trio of regional non-profit agencies. Carpenter and his wife, Barb, are no strangers to helping others. The Kiawah Island Marathon will be the third such event in which the couple have raised money on behalf of others. The first event came in 2016 when Rod and Barb raised nearly $9,000 in donations from area businesses and individuals to help offset legal bills for a Celina family embroiled in a costly and controversial adoption battle. Earlier this year, Rod ran in a marathon in Duluth, Minnesota and raised nearly $17,000 for two Celina non-profits: Choosing Life Pregnancy Center and Our Home Family Resource Center. The intended beneficiaries of the Carpenters’ latest fund-raising efforts are the Lima-based Area Agency on Aging 3; the Matthew 25 Missions Group of the Grand Lake United Methodist Church in Celina; and Project Everybody Beautiful, also in Celina. The Carpenters have set a goal of raising $20,000, which will be divided equally between the Area on Aging and the Matthew 25 group. 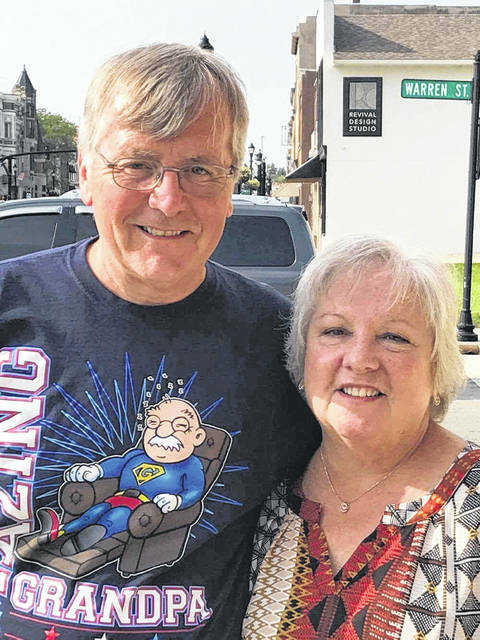 The Celina couple will make a personal donation to the Project Everybody Beautiful organization, “which helps women overcome addiction and abuse by helping lift their self-esteem,” said Rob. The Carpenters’ decision to raise money for the Area on Aging and the Matthew 25 groups stems from their strong religious backgrounds as well as their desire to help children and families whenever possible. Rod Carpenter was an enthusiastic marathon runner earlier in his life, participating in nine of the grueling 26.2-mile races between 1979 and 1987. After running in the 1987 Boston Marathon, Carpenter didn’t run in another race for 26 years. But after successful knee replacement surgery in 2006 — and gaining his surgeon’s okay to resume running in 2013 — the Celina man is once again pursuing his twin passions of marathon running and charitable giving. Checks may be made payable to either “Area Agency on Aging 3” or “Grand Lake UMC,” with Matthew 25 written on the memo line. Donations may be mailed to Rod Carpenter, 2203 Eaglebrooke Circle, Celina, OH 45822. He may be reached at 419-236-9136 or carpenter@bright.net for additional information.